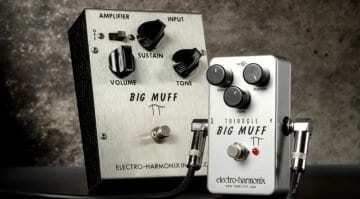 23 Results for "Big Muff"
When there is something strange in your neighbourhood. Who are you gonna call? 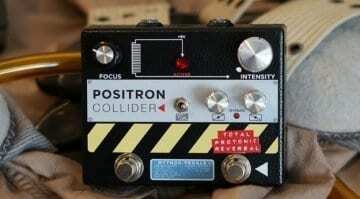 We don't know either, but the new Positron Collider Fuzz will at least take your mind off of it. 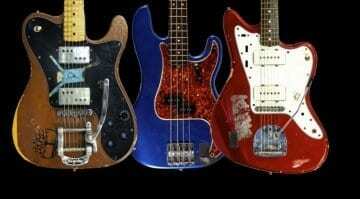 The ultimate Sonic Youth 'garage sale' could well be a huge hit, as it includes some classic gear that has been played, used and personalised or modified by the band over the years. It's back! 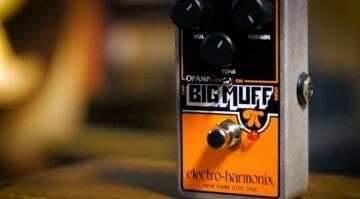 EH has issued a "faithful" recreation of its first Big Muff, dubbed the Triangle Big Muff Pi, the pedal that launched the world's most famous line of fuzz effects for guitar. 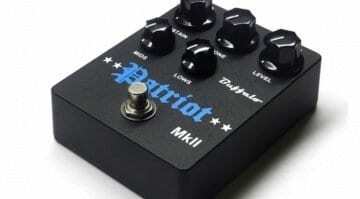 Stupid effect pedal names: Is it all getting a bit tired? 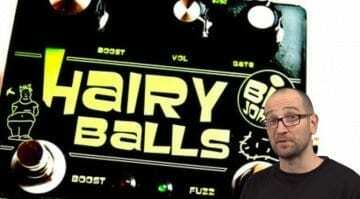 Here we are in 2018, and pedal buyers can choose between Hairy Balls, the Screaming Whore or even the infamous Super Hard On pedal. Is it all getting a little bit out of hand now? NAMM 2018: Way Huge now in way small MkIII flavours? 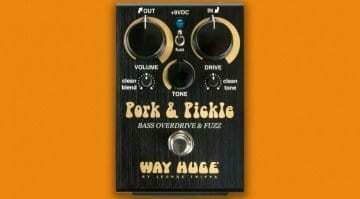 It looks like Way Huge are downsizing for 2018 in a bid to help you cram more effects pedals onto your pedalboard. The Russian Pickle, Blue Hippo and Aqua Puss all now available way small! 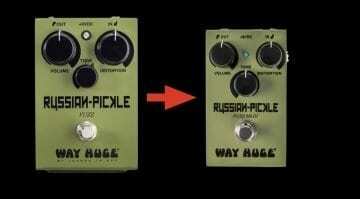 Combining the British preamp tone of the Pork Loin Overdrive and the mid-'90s fuzz tones of the Russian Pickle it sounds as though this new bass effect could be a match made in heaven. 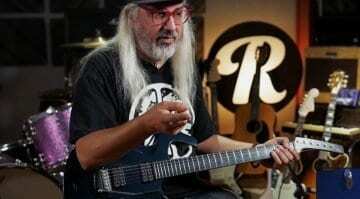 Dinosaur Jr's main man J Mascis is having a guitar clearout, so you could be the proud owner of some of his old gear. 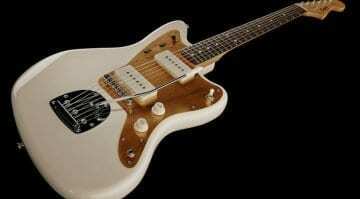 Some cool guitars, effects and amps are on offer, so check it out. If you can afford it. 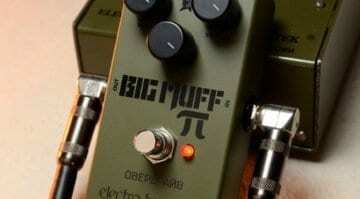 The Sovtek-era Green Russian Big Muff is being relaunched in a modern-day nano housing - this great-sounding fuzz pedal from the '90s is finally being reborn! 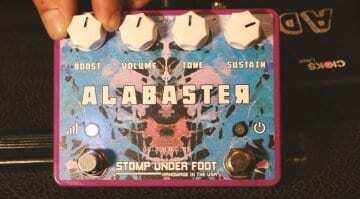 Stoner rock band All Them Witches have collaborated with Stomp Under Foot to build the Alabaster, their new signature dirt box, featuring both fuzz and boost circuits - just in case you need even more volume! 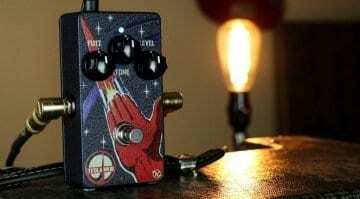 Keeley has launched a new version of its Tesla Fuzz using old Soviet-era 104NU71 germanium transistors. 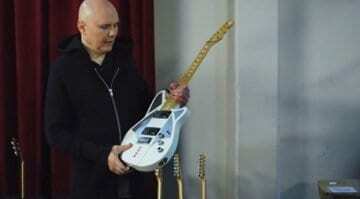 The new pedal is being produced in limited numbers and has a distinct historical styling. Dosvedanya! 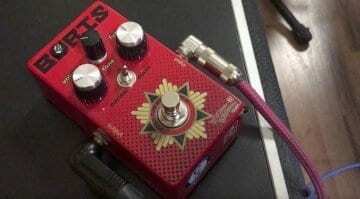 The Boris, the second pedal by Rocket Surgeon, adds more fuzz to their line-up; this time it's for your guitar! 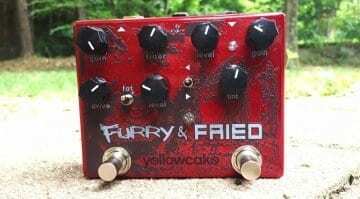 This Russian-flavoured fuzz circuit looks set to go nuclear.